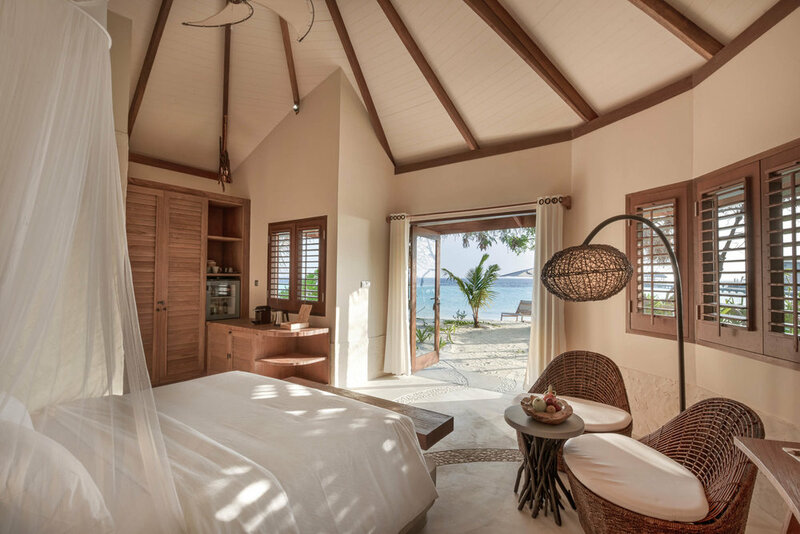 Gently rounded in design, our 10 Beach Villas are tucked away on shore, ensuring total seclusion and privacy. Fling your doors open to step onto a pristine white beach and gaze at uninterrupted views of the crystal clear waters beyond.Hidden amongst swaying palm trees with immediate access to a pure white, sandy beach. 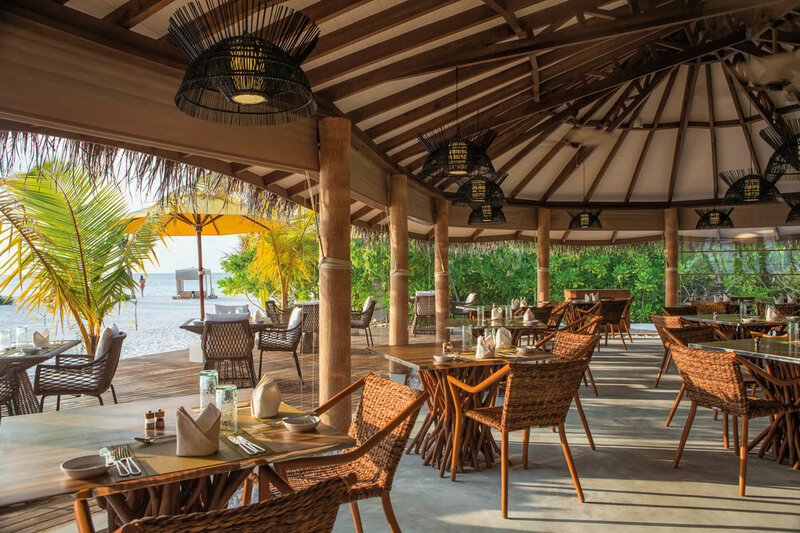 White-washed walls contrast with the rich colours of hand-carved wooden furniture. A sweeping net canopy encircles a large king sized bed. 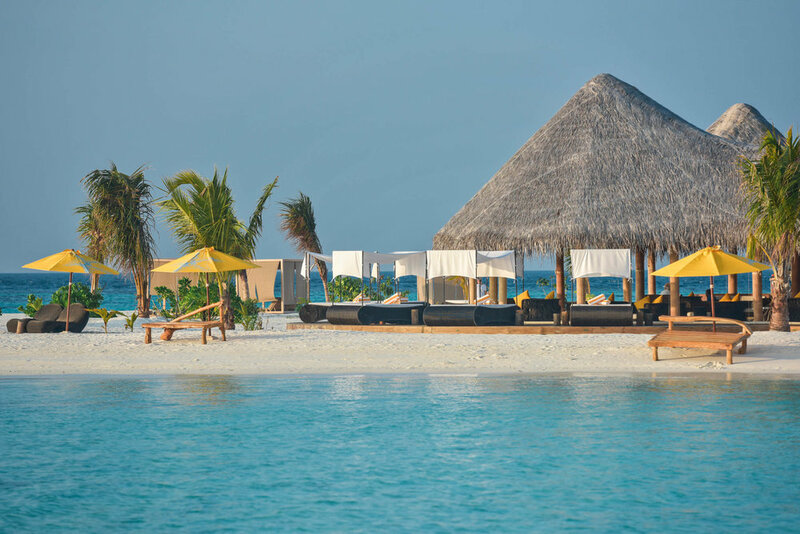 20 Water Villas are poised over the island’s vast turquoise lagoon. A private deck allows direct access into the cool blue waters. 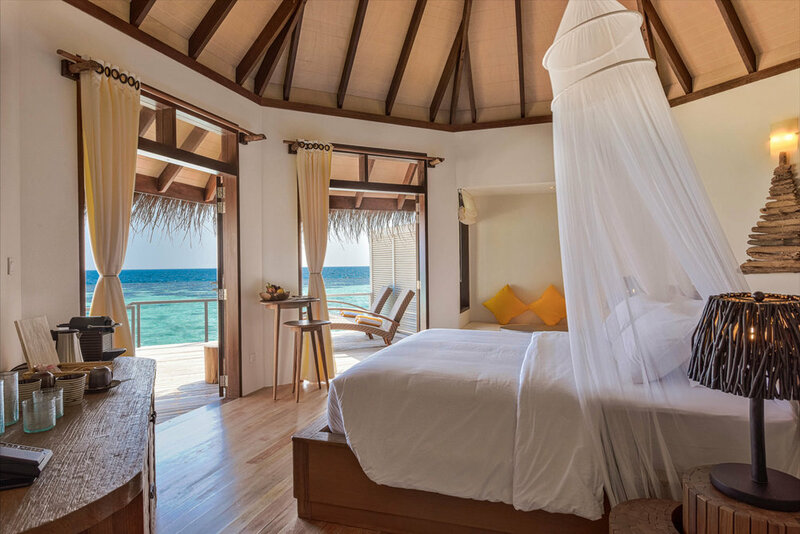 Wake up to the music of the waves or spend balmy evenings stargazing from your private terrace. A king sized bed faces floor to ceiling windows, soaking the villa with gentle glow of the sun. 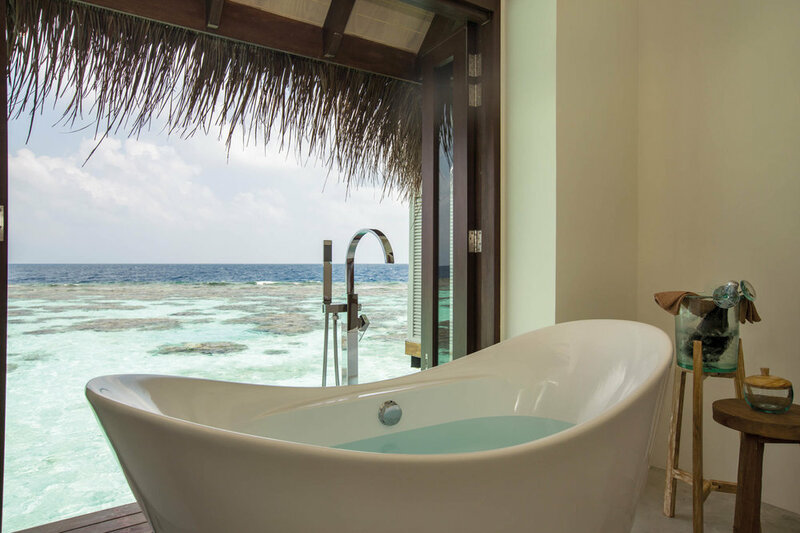 A sunny bathroom features a stylish designer bathtub with a spectacular ocean view. 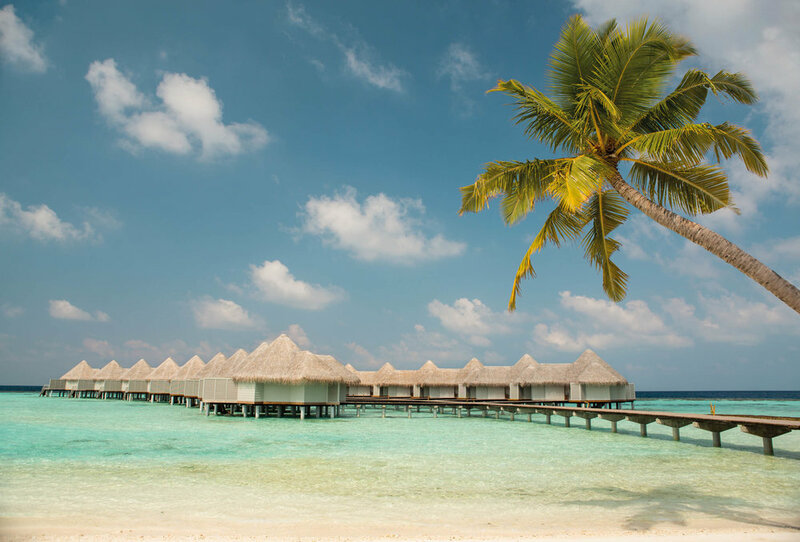 Inspired by nature with a breaktaking view of the lagoon, overwater spa is a peaceful and refreshing haven. A carefully selected menu combines massage treatments from Indonesia, Thailand and India, and enriching facials and stimulating body treatments, all carried out by expert therapists trained to restore inner harmony.